People in BC are used to seeing the CH-149 Cormorant helicopter, based at 442 Transport and Rescue Squadron in Comox, BC. This helicopter is the Canadian Forces SAR helicopter. It costs about $30,000 an hour to operate, and soon, if the government has its way, they will be charging “E” Division (BC RCMP) for its use for Search and Rescue missions in BC. This was announced, rather deceptively, in January 2013, and I wrote my thoughts about it soon after. It now appears that by the term “humanitarian aid” they don’t just mean disaster relief at home and abroad, but Search and Rescue as well. Two of my sources indicate that the Department of Defence considers ground SAR to be humanitarian aid when delivered within the provincial area of responsibility. Ground SAR is within the mandate of the RCMP operating as the provincial police for British Columbia. However, the RCMP are also considered to be a federal department, so by the information provided in the release by Minister McKay above, the DND is considering charging the RCMP for the use of the Cormorant or any other resources for a rescue. Others within the SAR community are quick to point out that the Cormorant is not the ideal helicopter for Search and Rescue and mountain flying and I agree with them, but in some cases it is the only resource that can fly in certain weather conditions and at night. This comes on the heels of Vernon Search and Rescue’s pilot program for helicopter winch rescue, the first Ground SAR group in Canada to take on such a capability. With this new development, it could be time for the SAR community to consider a helicopter rescue group for the areas of BC with higher call volumes. 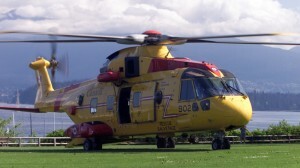 I hesitate to point this out to the informed and intelligent readers of this blog, but you are already paying for the use of the Cormorant and other department of defence resources for Search and Rescue in BC through your federal taxes. “Cost recovery” in this sense is a lie since you will just be paying for it through provincial taxes. I don’t like getting political on this blog, but it seems obvious that the federal government has the ideology of “small government”. They like to keep taxes low. Then they can claim they are doing a “good job” by their self-imposed rules on what constitutes being a good steward of the public purse. However, this is not being a good steward, this is blatantly offloading the tax burden to the province. If you look you will see that this is the pattern for many of the so-called tax cuts we’ve had over the years. We’re not paying less. It’s really disappointing when a government makes decisions which potentially limit accessibility to a useful tool. As of today, our use of the Cormorant is naturally limited because the cases where it adds value are tightly constrained and it has limited availability. While it does provide us some unique capabilities it also has a very different set of associated risks and limitations than the helicopters typically used in our area. I hate to imagine that the next time we hit an edge case which justifies the Cormorant’s use that we’re unable to access it for purely political reasons.